Large network equipment is the backbone of your IT infrastructure. 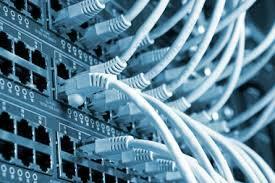 Although many consider computers and servers as the drivers of IT energy use, network equipment (switches and routers) should not be overlooked. By certifying energy efficient large network equipment, EPA helps IT staff and data center operators select products that will save them money on their energy bills, will assist manufacturers of efficient equipment in increasing sales, and will drive down the energy use of data centers and server closets – estimated to be more than 2% of total U.S. electricity consumption. By selecting ENERGY STAR certified network equipment, one part of a complex purchasing decision — energy efficiency — can be done quickly and easily. The ENERGY STAR certified large network equipment is the latest addition to the suite of ENERGY STAR certified data center equipment — which currently includes enterprise servers, data center storage, and uninterruptible power supplies. In addition, one watt-hour of network equipment energy savings results in an additional 1.9 watt-hours of facility-level energy savings.1 These additional savings stem from reducing energy waste in the power infrastructure (e.g., power distribution unit, uninterruptible power supply) and reducing 24/7 energy needed to cool the waste heat produced by large network equipment. ENERGY STAR certified large network equipment come with efficient power supplies and energy saving features such as remote port administration, adaptive active cooling, and energy efficient ethernet when applicable.